When it comes to storing odds and ends a laundry room is a perfect life saver. If you have plenty of things you cannot throw away and might need for the future, stashing them in the laundry is a cool idea. Storage spaces do not have to look backdated and unclassy. 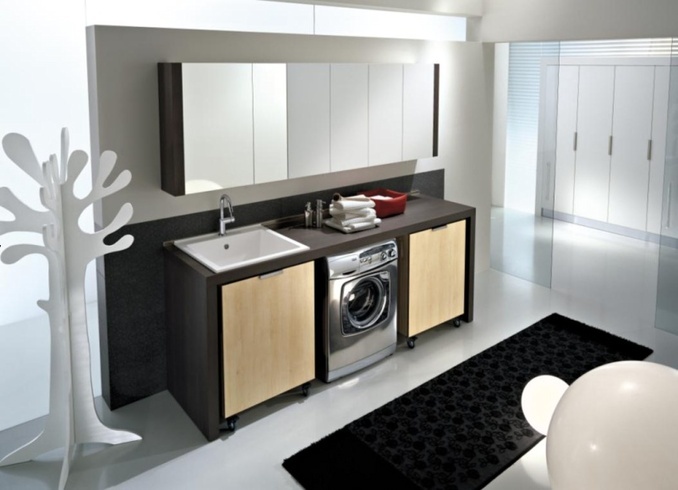 You can easily make the laundry area into a stylish space. The best part, you can make arrangements that are easy to maintain, so you do not have to take time to set the laundry room up for storing your things. 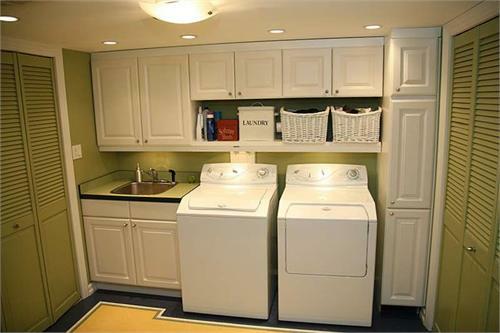 Try both closed spaces and shelves to order your laundry room. A long open shelf right across one wall can hold all the laundry items easily. 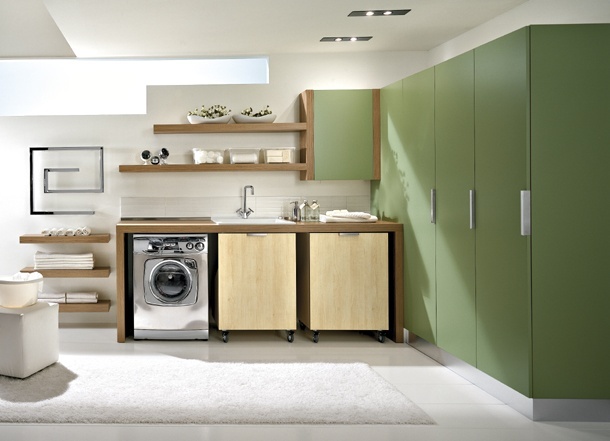 Smartly designed spaces with cabinets can really change how your laundry room looks. A pretty curtain can make your laundry area look cool. Closed spaces and hangers can get your laundry room in perfect shape. Over the covered area have a mosaic backslash for color. A touch of steel can totally makeover your laundry room. You can stash away items on simple shelves. Use space innovatively and tuck away items to make your laundry room clean. When it comes to storing laundry vertical cupboards look cool. LIf you have lots of space put the laundry area at the center. You can use a simple hangar to get this look in a cozy laundry room. The boxed look works great if you have a medium-sized laundry room. A stylish slider door can keep the washing machine and laundry in perfect order. Get an extra wide countertop to keep things folded in the laundry room. Use cane for an eco-friendly look in the laundry room. Try a large set of compartments in the laundry area. You can keep the look simple with white cabinets. Use lots of small storage areas to keep the laundry room looking clean. Hang up clothes neatly in a separate area of the laundry room. Wood finish storage spaces look classy in a laundry room. LA wall cupboard works great when you have a small laundry room. Using cupboards with matte surfaces can make your laundry room look clean and comfortable. Use both open and closed areas for this fresh laundry room look. Get it right with the paneled look in a laundry room. Pink wallpapers and white cabinets look really cool. You can try a stylish curved look on the storage spaces in your laundry room. Getting s stacked look with small cabinets can be a fresh way to do up the laundry room. Keep the laundry storage areas to one side to free up space in your laundry room. A mixture of cabinets and open windows can add a touch of cheer to your laundry area.